Some cars, like the smart, don’t meet the same criteria as most others. No one buys a smart to take their family to the cottage in winter! 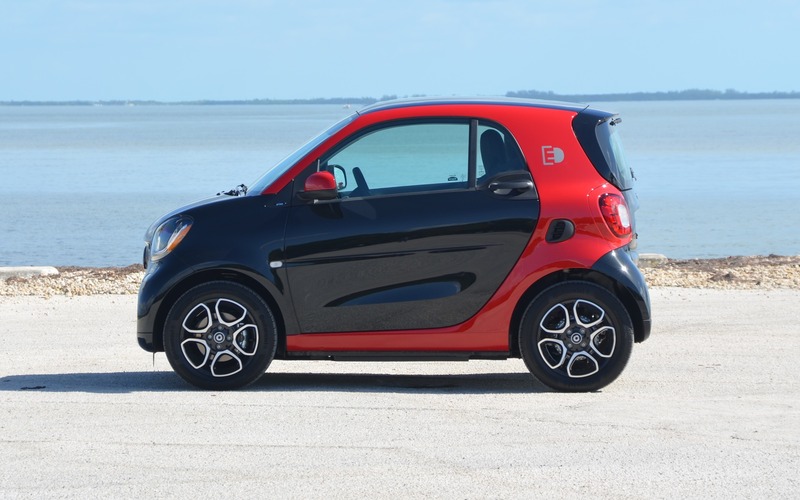 In fact, driving a smart is more of a lifestyle choice than a transportation choice. Creating an all-electric smart makes perfect sense considering its purely urban vocation—and the clean and quiet drivetrain is the perfect complement to the neat little car. When Mercedes-Benz (yes, that’s who owns smart) started planning the new-generation smart electric drive, they came to pretty much the same conclusions as General Motors did with the Chevrolet Volt some 10 years ago. According to their research, the average European drives 35 kilometres per day, two to three days per week. In the country now known for its eccentric president, the travelling distances are longer and the lifestyle is different; there, drivers cover an average of 65 kilometres per day, four days per week. So that’s how they came up with the 160-kilometre range for the new 2017 smart fortwo electric drive. This would allow the tiny ride to fulfill its city driving duties using just a few kilowatt-hours. But before we get into the details, it’s worth noting that this smart looks a lot like its gas-powered counterpart, which was redesigned and released last year. Just a few details are different. If you look carefully, you’ll notice that there’s no exhaust pipe and a few “electric drive” emblems have been added. The differences are just as subtle on the inside. Some of the onboard computer screens display graphics and information about the electric range and power flow. The battery is made up of 96 lithium-ion cells arranged in three groups of 32. In all, the pack comes to 17.6 kWh. These cells are made by LG, but the battery is made by Accumotive, a subsidiary of Daimler AG. The water-cooled battery weighs 160 kilograms. smart offers an 8-year or 100,000-kilometre warranty on the engine, but this period/distance should be largely exceeded without any problems coming up. When plugged into a domestic outlet (120 volts/12 amps), the battery takes 13 hours to reach an 80% charge, or 16.5 hours to charge to 100%. 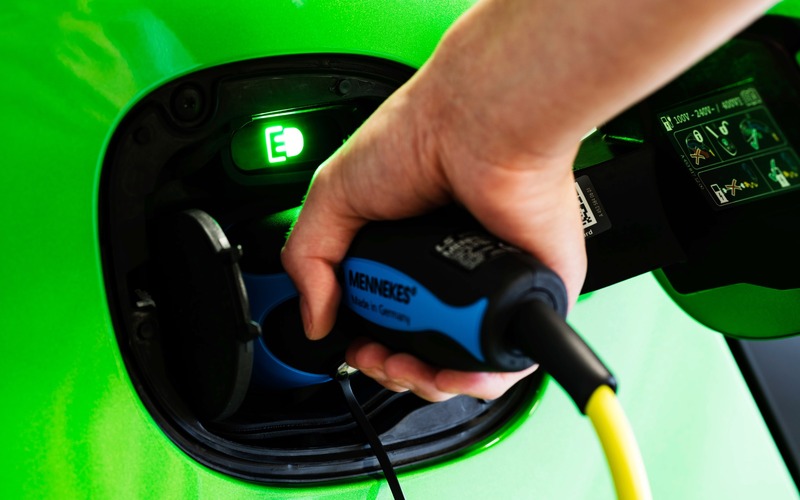 Using a 240-volt (32-amp) charging station, it takes just 2.5 hours to reach 80% or 3 hours to reach 100%. The air-cooled electric mill produces 60 kWh or 81 horsepower, as well as 118 lb.-ft. of torque. It’s located directly over the rear axle, in the same place used for the conventional engine in the smart fortwo. Since the engines are positioned in the same location, the trunk capacity is the identical in both versions. Didn’t I tell you that the differences are hard to see with the naked eye? Comparing the ride with its gas-powered counterpart is much like comparing its styling—not much to report. That said, the gas engine’s invasive noise is replaced by “electric silence,” meaning all you hear is the sound of the tires on the asphalt, a suggestion of wind noise and the whir of the climate controls. You’d expect acceleration in electric vehicle to be lively. But, according to smart, the 0-100 km/h dash takes 11.5 seconds, which is good, but nothing to write home about. The impression of speed comes from the fact that the accelerations are so linear. Activate ECO mode, however, and the 2017 smart fortwo electric drive is downright sluggish. Unlike the previous generation, the suspension offers a very decent level of comfort. At least it did on the mint roads of Florida. Meanwhile, its steering seemed less lively than in the gas version, but the turning radius is still gloriously short. We tested the fortwo electric drive on a gorgeous summer day of November—in Miami. Our unit was charged to 97% and promised 79 miles (127 kilometres) of range. By the time we made our first stop, some 30.6 kilometres later, the battery had dropped to 80%, with 96.5 kilometres left. Then, after covering 74 kilometres in city and highway conditions, we still had 65.9 kilometres of range and 43% of power. At that rate, we could have driven about 100 kilometers before running out—a difference of 27 kilometres compared to the initial range. However, that prediction should be taken with a grain of salt because there are an infinite number of factors that can affect range, positively or negatively. As with all electric vehicles or hybrid plug-ins, you can manage a host of settings from your cell phone. For example, you can “pre-condition” your car. When it’s cold outside, you can heat the battery and cabin to 21°C without drawing from the battery, as the vehicle will take power directly from the house it’s plugged into. 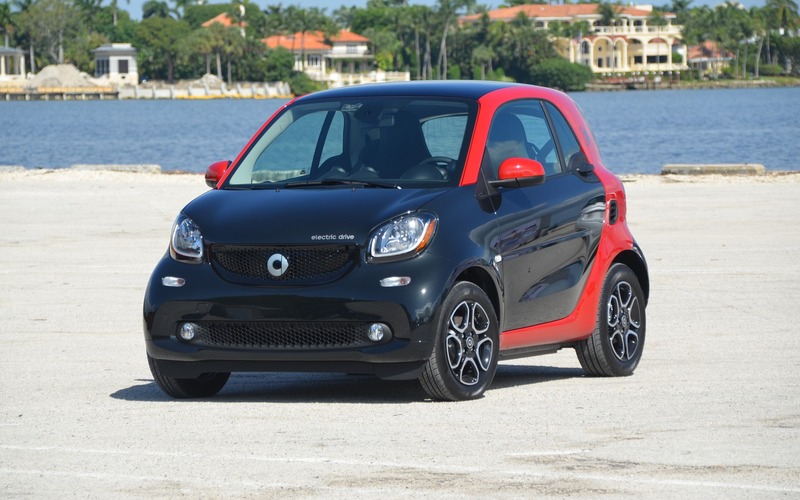 The smart fortwo electric drive is expected to roll into dealerships in the spring of 2017. While the prices haven’t been officially released yet, we already know that only the Passion trim will be available. The coupe and cabriolet will be offered with electric drivetrains. Europeans will have the chance to buy an electric forfour, but the chances of seeing this four-door smart imported to Canada is about as likely as a summer without roadwork. Don’t hold your breath! 10/10	To be precise, it’s closer to 4.8 out of 5. After all, electric vehicles do use energy. Electric power, but still! 8/10	Surprisingly good considering its wheelbase—and considering the previous generation. 7/10	Nothing worth tweeting about. 7/10	Everything you’d expect from a modern electric vehicle. 8/10	I didn’t expect it to be so good. 8/10	If you’re a city slicker, go for it!